Before The Bachelor and Married at First Sight, there was Perfect Match – a dating game show that aired in the 1980s. 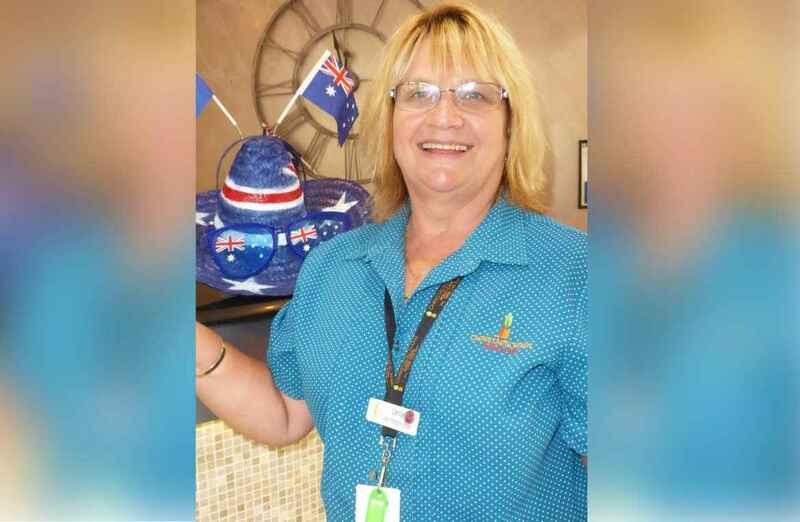 Denise, who now works at Chamberlain Gardens Aged Care in Wyoming, appeared on the TV show, where contestants tried to find their “perfect match” by asking questions of three potential suitors who were hidden behind a screen. She grew up on the Central Coast for most of her life, other than about 18 months when her family moved to South Africa when her father was transferred for work. Denise attended Erina Heights Public School, and then Erina High School, and when she left she studied administration at TAFE and started her career working for Briscos Marketing, then moved to another advertising firm in North Sydney before moving back to the Coast. When she was about 18 she appeared on Perfect Match, and was picked by one of the suitors. The couple went on a skiing holiday in Victoria, however Denise couldn’t ski – but her date could! They dated for awhile, but eventually distance became a problem as he lived down south. Denise is now married to Kel and has a daughter Brittany and a step-daughter Jessica. They are the proud grandparents of little Ava. Denise enjoys playing sport, and netball is her favourite sport. She has played for Terrigal and competed and represented NSW. She competed in athletics when younger and was successful in making it to the Australian titles. Denise has worked at Chamberlain Gardens for about six months, and enjoys the daily challenge of working on the rosters and interacting with residents. She likes to spend her downtime with her family, going to nippers with her granddaughter Ava, and eating out. Denise also likes to travel, and has been to the UK, Bali and South Africa, but Thailand is her favourite travel destination. Find out more about Chamberlain Gardens Aged Care in Wyoming.